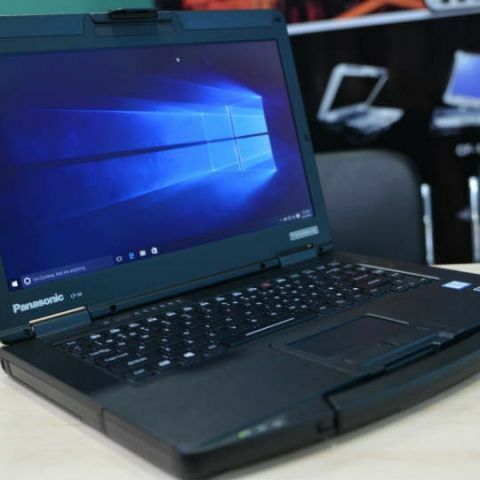 Panasonic India has announced its semi-rugged CF-F4 laptop for B2B customers in four new skews. The device is available from Rs. 1.2 lakh onwards and all four skews will be powered by the Intel Core i5-5300U vPro processor. There is 4GB of RAM and will be available in two SSD storage options of 256GB and 128GB. The laptop is built to last in harsh conditions and features a magnesium alloy chassis, which can sustain falls from 2.5 foot or less. It is also one of the lightest rugged laptop in the market at just 1.99kg. The laptop comes with a hot swappable battery option and company claims about 11 hours of on time. There are a variety of I/O ports available and the device comes with a 3 year warranty. As a part of Panasonic India’s efforts to focus on product differentiation coupled with developing innovative technological solutions, Panasonic presents the Toughbook CF-54. With its suave appeal, the Toughbook CF-54 is a semi-rugged PC and the most versatile and lightweight of its kind. With military-grade ruggedness, it is ideal for field work across business verticals and serves the purpose of an all-in-one utility device. Without compromising on the aesthetic appeal of a notebook, the CF-54 can be customized as per user requirements with integrated ports, 3G, dedicated GPS and other preference-based requisites. 29.8 mm thin and 1.99 kg light, the Toughbook CF-54 is a unique tool in its ability to transform the way professionals work on-the-go, wherever and whenever they require computer processing at lightning-speed. The CF-54 is equipped with a 5th Generation Intel Core i5-5300U vPro Processor with a 3MB cache, 2.3 GHz up to 2.9 GHz with Intel Turbo Boost Technology with 4GB RAM expandable up to 16GB. It features a sunlight viewable screen that enables visibility while working in extreme outdoor and demanding conditions. With an impeccable spill resistant keyboard and a one-of-its-kind shock resistant attribute up to 2.5 foot drops, it sets another standard of durability. Its battery supports up to 11 hours of operational backup, and comes with a hot swappable option which enables a user to change batteries without the computer shutting down, for undisturbed 24x7 operations. An optional smart card reader, fingerprint reader, and contactless smart card reader in additional to various interfaces and options like Serial Port, VGA, PC Card, Rugged USB, 2nd LAN are also offered by the Toughbook CF-54. Built for easy integration into existing IT infrastructures and for smooth deployments across high-level corporate operations, Panasonic’s Toughbook and Toughpad range is poised to transform professional infrastructure by streamlining the total cost of ownership for businesses.